While the small claims process is designed to be user-friendly, some litigants understandably find it confusing and intimidating. Equine Legal Solutions has assisted a number of clients with small claims court cases for equine matters, and here are our tips for successfully pursuing your case. Check the Internet to see if your small claims court has a website. Many small claims courts now have websites where you can download the appropriate forms directly from the website. If not, and the forms are only available through the courthouse, a professional process server may be able to obtain the forms for you. To find a reputable process server in the appropriate location, contact the National Association of Professional Process Servers. Your professional process server can file the forms for you - no need to orbit parking garages looking for a space and stand in long lines! This is especially convenient when you need to file suit in a place other than where you live. We recommend hiring a professional process server rather than relying on the service by certified or registered mail that some small claims courts allow. Most people (especially people with credit problems!) know that no good news ever arrives via registered or certified mail, so they won't sign for it. By the time you figure out that the other party isn't going to sign for the registered or certified mail, the allotted time to serve the other party has usually expired, which means you will have to go and get a new court date, then start the process of serving the other party all over again. Sheriffs are also not usually a good option, as service of process is not one of their primary job responsibilities, so you can imagine how they feel about having to do it. A good process server will get the other party served in the allotted time and file the required proof of service. You can usually add the cost (~$150) to your claim. If you are the plaintiff (i.e., the person suing), you will usually be given a choice of court dates when you file your complaint. We recommend choosing one that is convenient for you, but likely to be inconvenient for the defendant, such as a Monday morning, thus increasing the chances that the defendant will not show up and you will receive a default judgment. In some small claims courts, you have the option of permitting your case to be heard by a pro tem judge (i.e., not necessarily a well-qualified jurist). Recommend against this option, even if it means your court date will be delayed, as you want your case to be heard by an experienced and qualified judge. You will have approximately three minutes (literally) to present your side of the case. Because you will have such a short amount of time to make your point, you want to make sure that you can state your case in a clear and concise fashion that makes sense. Recommend practicing out loud to a friend or family member who is (a) not a horse person and (b) not intimately familiar with the case already. If their eyes glaze over while you are talking, you need to improve your delivery. Remember that the judge has likely never even seen a horse up close, so won't know "technical" terms such as "mare" and "gelding." Keep your story simple and to the point – you want to look like someone who is rational and not wasting the judge’s time. Small claims court is very casual about civil procedure, which means that the judge can consider evidence that wouldn't be admissible in regular civil court. Be sure to bring all documents with you, and have them well-organized so that you can put your hands on a document immediately if the judge requests it. Do not be surprised if the judge does not want to see any documents, though - their goal is generally to dispose of cases as efficiently as possible. Although live witnesses can be more convincing than the notarized statements allowed by most small claims courts, they can also be counter-productive. Make sure that your witness knows how to state the relevant information clearly and concisely - remember that you will only have about three minutes, TOTAL. You can usually subpoena the testimony of reluctant witnesses. If there is any doubt about whether your witness will show up, keep the story simple and avoid getting emotional, opt for a notarized statement instead of live testimony. What Happens if the Other Side Doesn't Show Up? Typically, you win by default. However, the other side may have a certain amount of time to appeal the default judgment and get a new court date. Typically, the plaintiff cannot appeal a small claims court judgment, which means that you are stuck with what the judge decides. The defendant usually has the right to appeal. Small claims judgments are almost always limited to money, which means you cannot expect the court to order the other side to do anything, such as give you possession of a horse. The defendant typically has 30 days to pay a judgment. After that, you can petition the court to allow you access to different types of collection methods. If the defendant has a job, we recommend garnishing their wages, as the employer is legally required to comply with a garnishment order. Second best is garnishing a defendant's bank account and third best is placing a lien on the defendant's house. 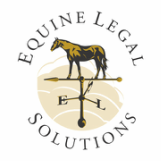 For assistance with your equine legal matter, Contact Us to schedule a consultation.